Enormous as this effort was, these two events represented just a portion of the many volunteer opportunities offered during Viacom’s annual Season of Giving, which engages employees nationwide with holiday-themed volunteer opportunities throughout November and December. The corporate social responsibility team kicked off its most recent holiday-themed efforts by distributing nearly 300 New York Cares Winter Wishes letters to employees at Viacom’s Times Square headquarters and 345 Hudson office. Each hand-written letter outlined a list of recent achievements and desired holiday gifts from an underrepresented New York City elementary school student. 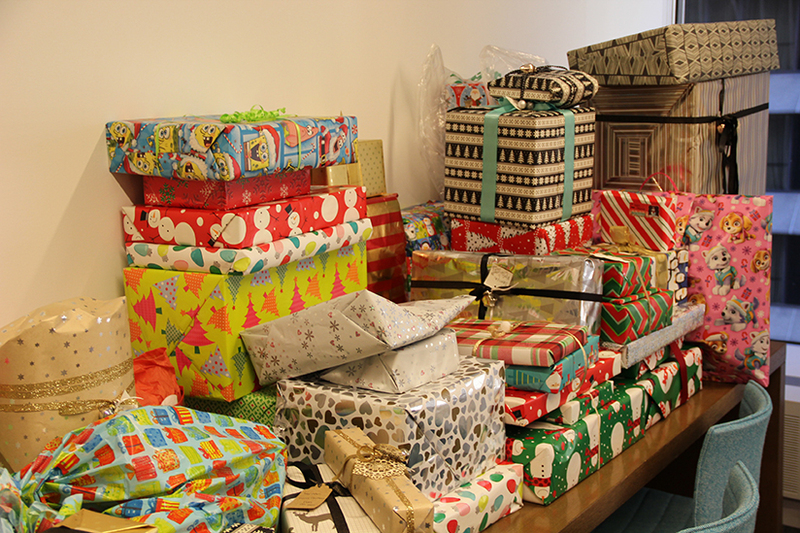 Viacom employees selected one or more letters, then purchased and wrapped the gifts, which New York Cares distributed to the children. During the week leading up to Thanksgiving, a group of nearly 15 Viacom volunteers delivered nutritious holiday meals to homebound elderly in Midtown Manhattan through Citymeals on Wheels. 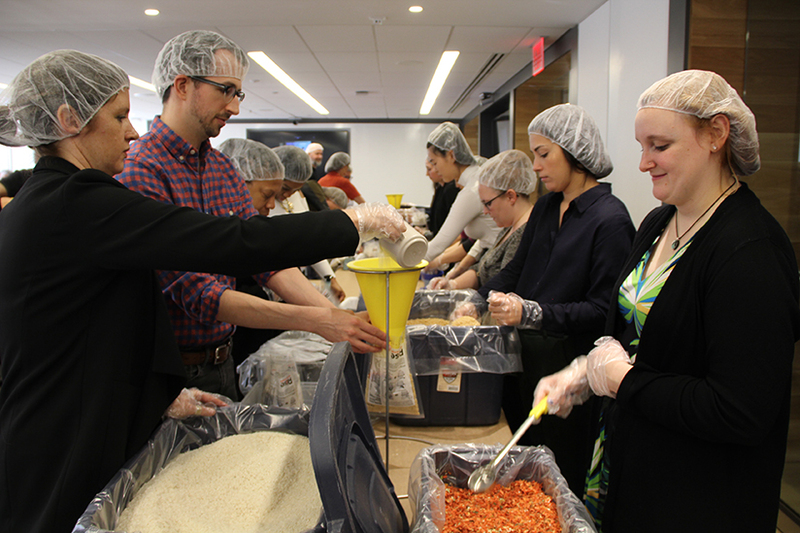 Similarly, more than 100 volunteers united to package about 20,000 meals for the world’s most vulnerable communities with Rise Against Hunger at Viacom’s Times Square and Hollywood offices. On the day before the holiday, as part of Viacom’s annual Kids Day – where employees bring their children to work for a day of fun and activities – the young ones gave back to their local communities, just like their parents. With help from Viacommunity and Employee Events, our young visitors helped stuff more than 200 cuddly giraffes, bears and elephants, which were then donated to children affected by Hurricanes Maria, Irma, and Harvey via The GOOD+ Foundation, SAFE (Stuffed Animals for Emergencies), and Spirit Airlines. In celebration of the social media-powered global #GivingTuesday that follows Thanksgiving weekend, employees across the U.S. contributed to Viacom’s foundation partners: VH1 Save The Music, Get Schooled and MTV Staying Alive. 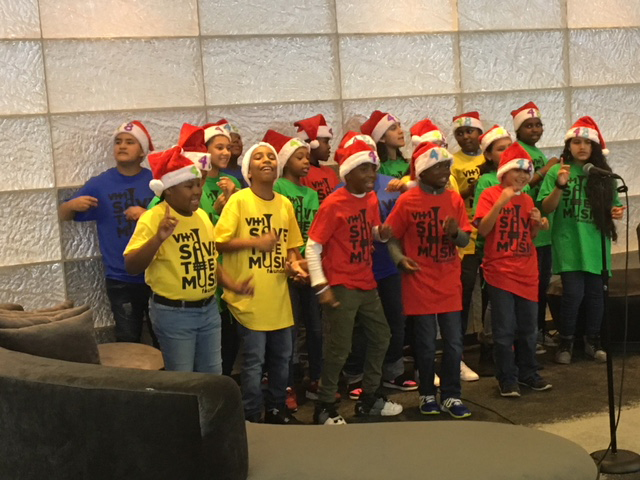 At Viacom’s New York, Hollywood, Paramount Pictures, and Miami offices, youth carolers from local VH1 Save the Music partner schools amplified this holiday cheer with festive songs. In December, Viacommunity worked with the Jericho Project, a non-profit organization that provides housing and life-changing services to homeless and at-risk individuals for a “day of action.” Volunteers decorated the facility at Jericho House for the holidays and assembled personal hygiene care packages to distribute to community members. Viacom’s Give Back and Get Down VIII – an annual joint effort between the Office of Global Inclusion, the Employee Resource Groups, and Viacommunity that empowers employees to support specific causes – also included The Jericho Project as one of three beneficiaries. Employees donated items to the organization – along with Harlem Educational Activities Fund and Apex for Youth – via Amazon wish list. Themed “empowering the next generation,” this season’s Give Back and Get Down culminated in a raucous event featuring food, beverages and donation stations, along with enthusiastic remarks by Viacom CEO Bob Bakish and musical performances by Rotimi and Lyrica Anderson. In the Season of Giving spirit, Viacommunity is offering at least one volunteer event every month of 2018 as part of its All Good, All Year campaign, designed to empower employees, strengthen external non-profit partnerships, and embed these efforts more deeply into the company culture. Viacommunity launched All Good, All Year in January with three Martin Luther King Day volunteer projects in partnership with the “I Have a Dream” Foundation. The events were designed to motivate and empower students to reach their educational and career potential. In Times Square, employees speed-mentored three to four of the foundation’s college freshmen “Dreamers” (as the foundation refers to its mentees), discussing their own career paths and encouraging the students to continue their education. In addition to the event at HQ, employees at Viacom’s 345 Hudson and Hollywood offices assembled care packages that included notes of encouragement for rising college freshmen and current college students across the country. The All Good, All Year campaign will continue strong through Viacom’s annual Viacommunity Day worldwide day of service this spring, ensuring there are many opportunities to give back to the causes that matter most to each employee.